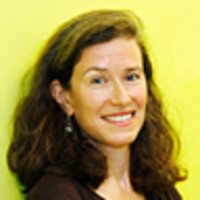 Amy Siskind is a national spokesperson, writer, and expert on helping women and girls advance and succeed. A highly successful Wall Street executive, she’s co-founder and president of The New Agenda, a national organization working on issues including economic independence and advancement, gender representation and bias, sexual assault and domestic violence. Some of her television and radio appearances include CNN, FOX News, CNBC, PBS, NPR, POLITICO, U.S. News & World Report, AOL News, CNN.com, The Boston Globe, Forbes, and The Hill. She’s a regular featured contributor at The Huffington Post and The Daily Beast. Amy speaks on college campuses and to young women about economic empowerment. She serves on Cornell University’s highly prestigious President’s Council of Cornell Women. A pioneer in the distressed debt trading market, she has a lifetime of experience with failure and remarkable success and knows what it takes to win. She became the first female Managing Director at Wasserstein Perella at the age of 31, and later ran trading departments at Morgan Stanley and Imperial Capital, where she was also a partner. She received a BA in Economics from Cornell University and an MBA in Finance from The NYU Stern School of Business.